CX platform-based solutions are leading the thinking and breaking the mold to provide a peek into the future models to deliver sustainable transformation for our clients. customer data that flows into their organization (or into third-party suppliers) and turn it into something meaningful that can help them better understand the customer journey and how companies engage with their brand. To do this, they need to bring these data sets together, identify what is relevant using domain experts, and build the tools and capabilities to turn it into insights. 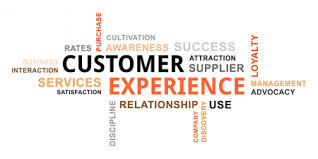 Only then can they deliver a superior customer experience (CX). And where does this magical data sit? Well, with a combined market capitalization of over three trillion dollars, GAFA (Google, Apple, Facebook, and Amazon) and Alibaba, more recently known as the FATBAG Gang of Six (Facebook, Amazon, Tencent, Baidu, Ant, and Google), holds the data that consumer enterprises crave. These new data disruptors provide consumer enterprises exactly what they need to drive the next-generation experience on their market-leading technology platforms. But, as ever in life, it’s not that simple. That path will have to be negotiated with skill and expertise as the GDPR legislation comes into force in the EU in May 2018 to control the use of personal data, leaving governments everywhere concerned about how data is used and shared. Enterprises will have to build agility, speed, flexibility, and responsiveness into their CX platforms – mindful that what may be allowed today, may be restricted, or even prohibited, in the future. CX platform-based solutions are leading the thinking and breaking the mold to provide a peek into the future models to deliver sustainable transformation for our clients. As part of its “string of pearls” approach, the Capgemini Group has acquired innovation strategy firms such as F212, Idean, and Backelite under its Digital Innovation capability set to complement the Applied Innovation Exchanges. We implement the latest solutions in the “Commerce” space and have acquired Itelios and LyonsCG to cement our leadership position. Conversational Commerce is the new and growing channel for customers. We have also announced the acquisition of LiquidHub to strengthen our CX value propositions in the Digital CX space. Capgemini has a strong partnership with Adobe which enables us provide our clients everything they need in the CX/UX space. Capgemini’s Digital CX Practice focuses on Adobe Marketing Cloud as a technology platform to accelerate sector offerings such as Conversational Commerce, Seamless Customer Engagement for CPR Sector, and Connected Banking for Financial Services Sector. Visit us at Adobe Summit 2018, London May 3–4 where we are a sponsor showcasing market-leading solutions in Financial Services, CPR, Automotive and others. Meet our experts to discuss how you can shape your customer experience journey and see you at our showcase booth!